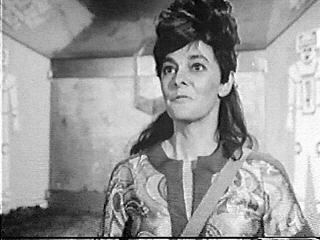 In the 2009 Doctor Who Magazine Mighty 200 Poll of Doctor Who stories, The Underwater Menace was voted the seventh least popular. 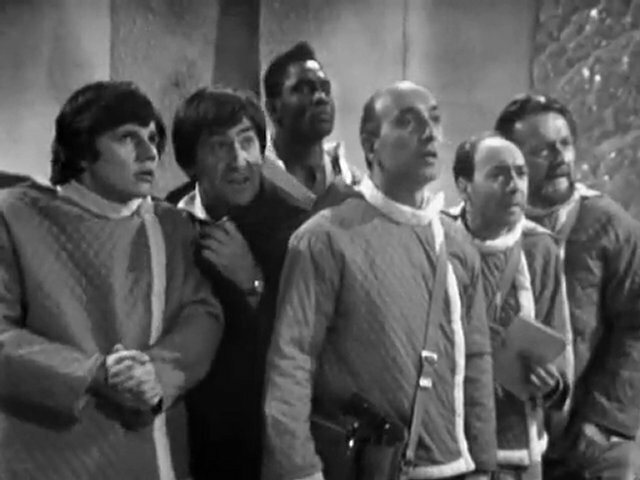 Coming in at an appalling 194, it was one story above another long derided Patrick Troughton serial, The Space Pirates. Throw in The Dominators at 191,and the Second Doctor has three of the ten least popular serials. That even beats Colin Baker’s Sixth Doctor and Sylvester McCoy’s Seventh Doctor, each of whom had two serials each in the bottom 10. So why is The Underwater Menace so lowly regarded? That until late 2011 only one of its four episodes were held in the BBC Archives may provide part of the answer. 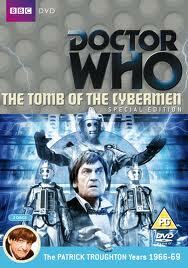 In fact, nearly two years after episode two’s return, it has yet to be released on DVD. 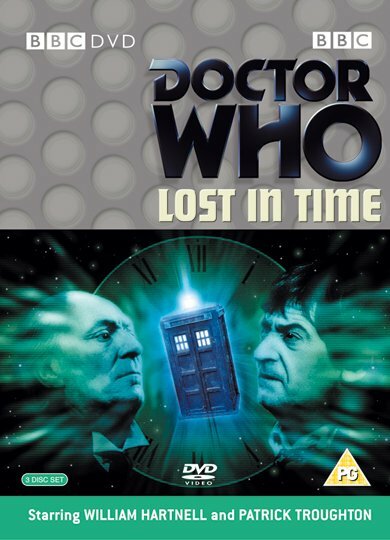 Episode three was first released to the public on VHS cassette in 1998 and subsequently reissued on the 2004 DVD Lost in Time. 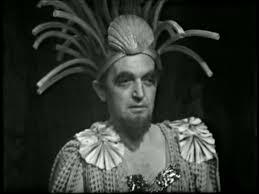 Without the context of the previous two episodes, episode three of The Underwater Menace must look extraordinarily bizarre to the casual viewer. The classic disparaging comments dished out to Doctor Who, including bad graphics, wobbly sets and atrocious acting might, to the uninitiated, appear spot on. The Fish People, who are enslaved by the Atlanteans, are surgically modified humans. 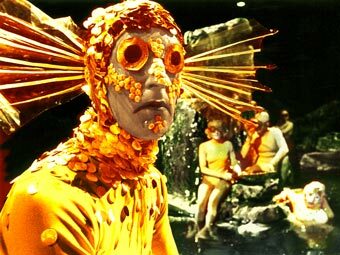 Having gills, flippers and scales, which are none other than sequins stuck to their faces, the Fish People farm the plankton that they, and the Atlanteans, are reliant upon for food. Being apparently bereft of refrigeration, this food source lasts only several hours before deterioration, thereby requiring the slave labour force to work around the clock to provide a constant fresh supply of stock. 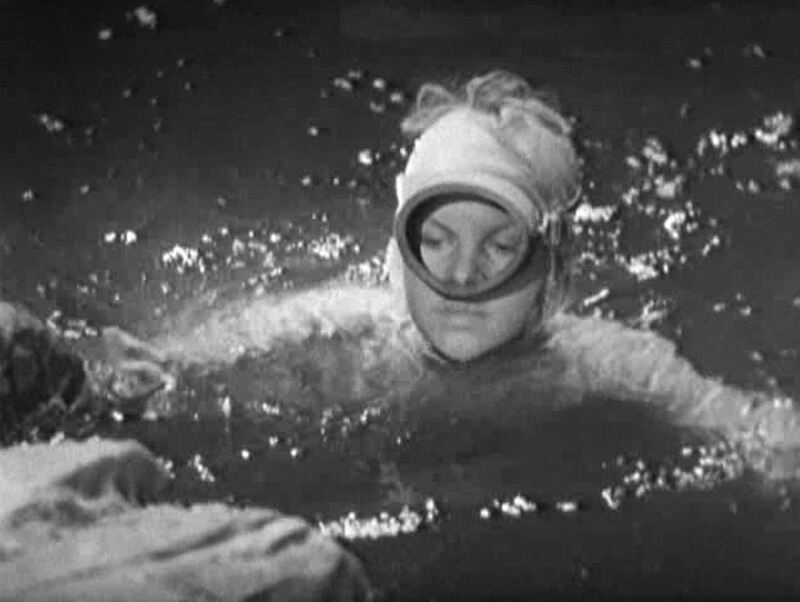 Polly narrowly escapes being operated upon to become a Fish Person in the episode one cliff hanger, which thanks for the ever vigilant Australian Censorship Board, we still have for our viewing pleasure. 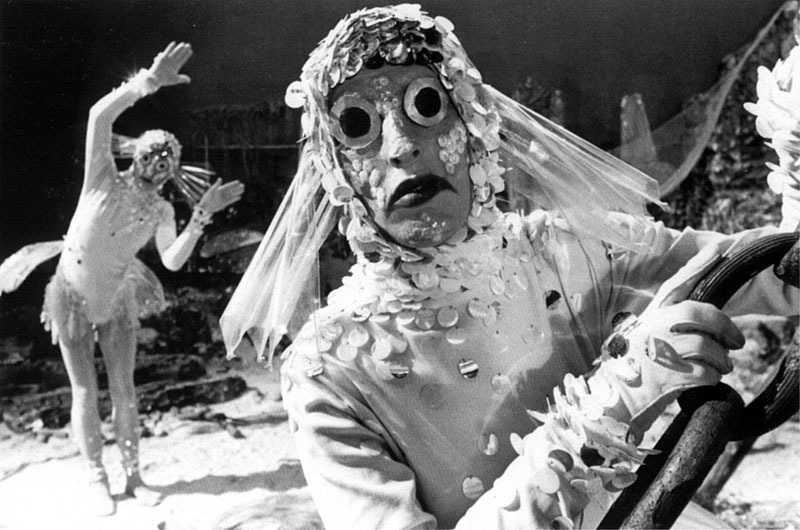 Almost universally condemned for their costuming, I personally think the Fish People look fabulous, in a trippy, 1960s sort of way. 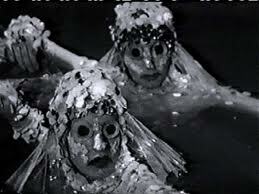 The Fish People swim around gracefully in an extended performance of synchronized swimming during episode three. I’m not entirely certain what the sequence’s purpose is however it looks completely wild. I can even excuse the trapeze wires that hold up the swimming Fish People up as they elegantly swoon around. 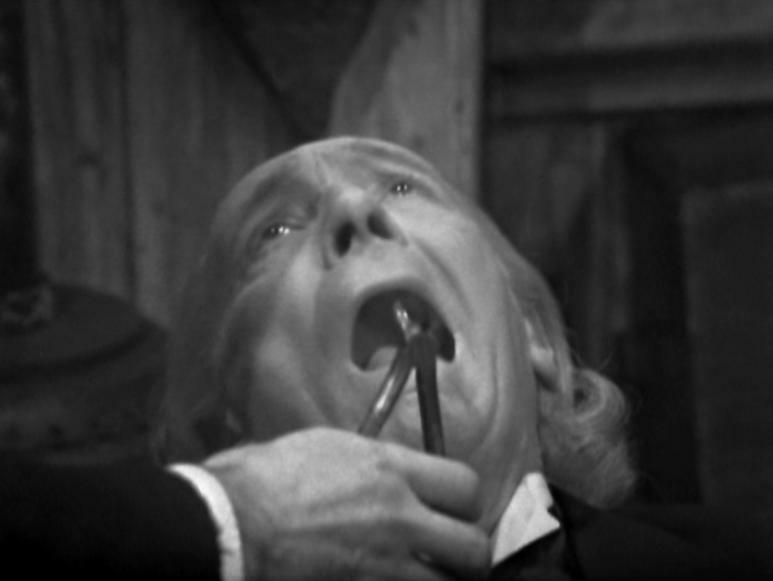 Spotting the wires holding up space ships has always been one of my favourite parts of watching Doctor Who (there are some great strings to be spotted in The Dalek Invasion of Earth). This is just a logical extension of that peculiar interest! That the Fish People decide to go on strike after having their humanity questioned by some enslaved miners is a bit farfetched, but hey, the reverse logic worked. Joseph Furst’s acting as the insane Polish Professor Zaroff is frequently the source of criticism. Episode three ends with his classic manic cry of “Nothing in ze world can stop me now!” That Zaroff is a parody of the mad scientist, and clearly meant to be played in a hammy, over the top fashion, appears lost on most critics. Where’s everyone’s sense of humour gone? Zaroff’s plan to drain the oceans into the Earth’s molten core, thereby causing the planet’s explosion from overheated steam, is also dismissed as ludicrous. Sure, he only wants to destroy the Earth because he can, and will also die in the resultant explosion, but that’s what mad scientists do. They wouldn’t be mad scientists if their plans were rational. 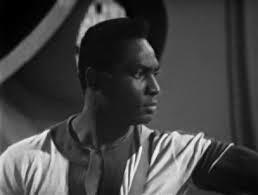 As Philip Sandifer states in Tardis Eruditorum, Zaroff’s scheme is no crazier an idea than the Daleks’ plan in The Dalek Invasion of Earth to drill the core out of the centre of the Earth and use the planet as a space ship. 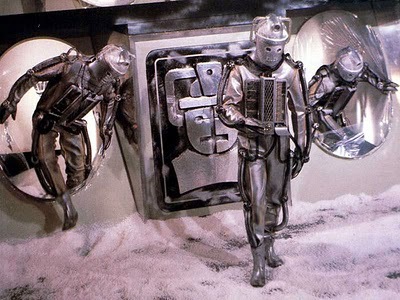 And that second Dalek serial isn’t dismissed out of hand as some form of corny atrocity. 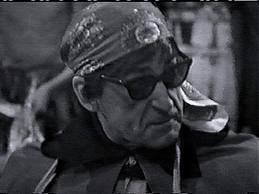 The Underwater Menace sees the Doctor take the lead in saving the Earth without recourse to dressing up continuously, although he does look rather cool when briefly dressed as some sort of tambourine playing hippy with sunglasses and bandanna. We are even afforded the opportunity to see a snippet of the Doctor’s good conscience when he decides that he just can’t let Zaroff drown at the end of episode four. 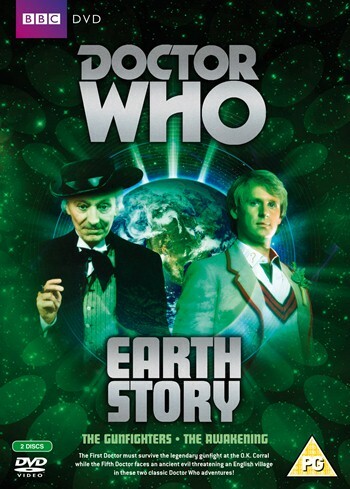 A rock fall blocks the path to rescue, although at least the Doctor’s intentions are good. 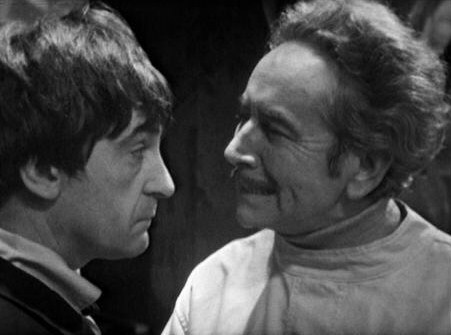 In this story the Doctor begins to display the characteristics that become his staple for the duration of his tenure. Polly, however, is denied the forthrightness of previous outings, and plays the screaming damsel far too often. Having been buoyed by her characterisation in The Highlanders, Polly’s inability to assertively take control of her own destiny in this serial was more than a little disappointing. She can, however speak “foreign”, as Ben refers to it, and is conversant in German, French and Spanish. Ben displays a good rapport with the Doctor and Jamie appears surprisingly unaffected by being dragged out of the 18th Century Scottish highlands, and into an underwater world of Fish People, temple worship and mad scientists. 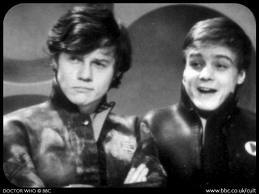 Ben and Jamie spend much of the time running around in black wetsuits. The synthetic rubber of the wetsuit must have been an unusual sensation against Jamie’s highland skin, but remarkably he is not seen to make a comment about it. The Underwater Menace ends with the mad scientist dead and the Atlanteans saved from Zaroff’s dastardly plan, although the city of Atlantis is flooded. No more Fish People will be made, and presumably they are freed from servitude. Religion, however, will be no more. Damon believes that priests, superstition and temples made the Atlanteans follow Zaroff’s crazy plans and the temple should be buried forever. Quite how this conclusion is reached is never stated and is certainly a very superficial solution to the Atlanteans’ problems. 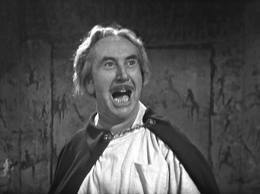 All told, however, The Underwater Menace is a fun romp and nowhere near as bad as its reputation. Watch it with an eye for the ridiculous and you won’t be disappointed. 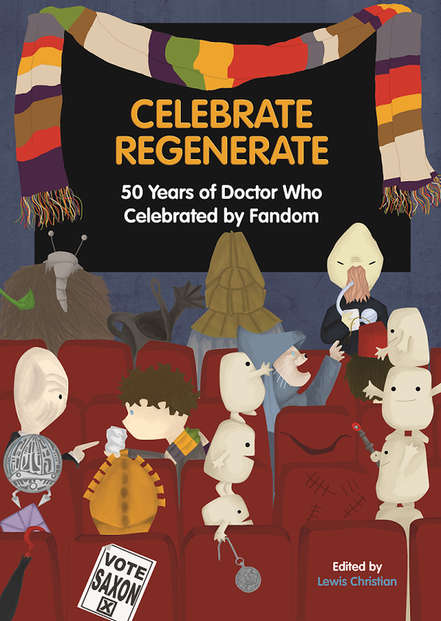 Recently released to celebrate the 50th anniversary of Doctor Who, Celebrate Regenerate is a fan produced chronicle of every broadcast episode of Who. Available as a free PDF download from http://celebrateregenerate.weebly.com/ this mighty tome features a page long article on every serial. The authors of The Gunfighters article, Mike Greaves and Andrew Boland, succinctly summarize received fan wisdom on this Western adventure. Dreadful, terrible, boring, and badly made are some of the words and phrases used by Greaves and Boland to describe the average fan’s dismissal of this tale. So convinced were they that the viewing experience would be tortuous and entirely unenjoyable that once viewed, they questioned whether they’d watched the right serial. 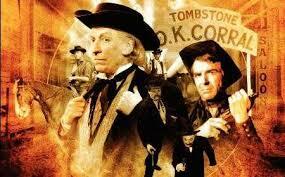 Were there two 1960s Doctor Who Westerns, they wondered. There was indeed only one and clearly there was something peculiar going on. Greaves and Boland had actually thoroughly enjoyed The Gunfighters. 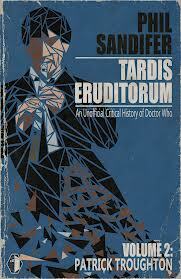 Phil Sandifer in his book Tardis Eruditorum Volume 1: William Hartnell examines this received wisdom in depth and identifies three distinct stages of fan criticism. The first he describes as 1980s fandom; the second as the Great Re-evaluation of the 1990s; and the third, the Reconstructionist era beginning in 2002. The first era occurred in a time when there was neither video releases of Doctor Who nor the internet. 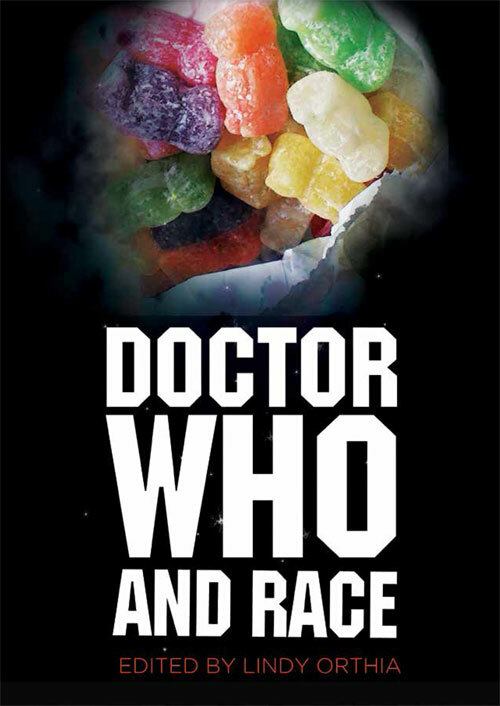 Fan opinion was derived from memories of the programmes when originally broadcast and a limited number of books, the most notable of which was Peter Haining’s 1983 Doctor Who: A Celebration. This coffee table book was almost seen as the Bible of Who and its critical analysis of episodes taken as Gospel. Haining’s review of The Gunfighters was scathingly negative and it is most probably from this source that received fan wisdom grew. The Great Re-evaluation that followed the release of stories on VHS cassette was not so much a detailed reappraisal of stories, but rather discussions to produce a general consensus on the relative merits of each story. It was not until all existing stories had been released on VHS, and Loose Cannon had completed their reconstructions, that what Sandifer describes as the democratization of fan criticism began. 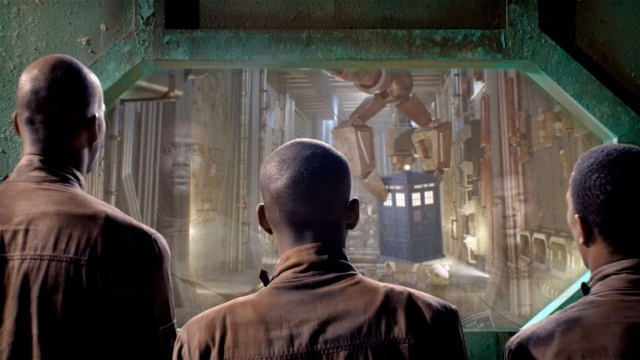 The ordinary Who fan was now in a position to access the stories for themselves and with the re-launch of Who in 2005, new fans had little concern for what the Classic Series critics of old said. With the pervasiveness of the internet and instant access to television programming everyone had become a media critic. It is from this new position of fan criticism that The Gunfighters has been reappraised. That the story is unique cannot be denied. 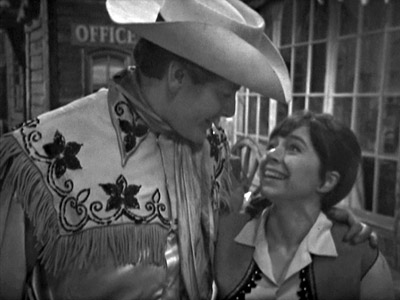 It is the only Doctor Who story with a sung narration, in the form of The Ballad of the Last Chance Saloon. Sung by Lynda Baron, the Ballad is heard at times of climatic tension throughout the serial. The lyrics change to reflect the action and it’s also sung by Steven and Doc Holliday’s girlfriend, Kate, in the saloon. It’s the latter renditions that are posted below for your viewing pleasure. Written by Donald Cotton, the author of The Myth Makers, the serial has a similar comedy format to Cotton’s previous Who outing. Again it mirrors the events in Troy when episode four descends into tragedy. The Gunfighters is set in 1881 America and follows the film The Gunfight at the OK Corral as one of its primary sources. 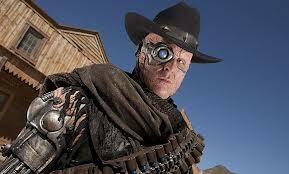 Doctor Who would not return to the American Wild West until the Eleventh Doctor’s 2012 adventure A Town Called Mercy. Having broken a tooth eating one of the Cyril’s lollies in The Celestial Toyroom, the Doctor uses his unexpected arrival in the American mid-west to procure the services of the local dentist, Doc Holliday. He is immediately mistaken for Holliday by the town’s residents and hunted down by the Clanton family. Throw into the mix the Earp brothers, Virgil and Warren, and add Johnny Ringo (who historically wasn’t involved in these Tombstone, Arizona events), and you have a ripping good yarn. 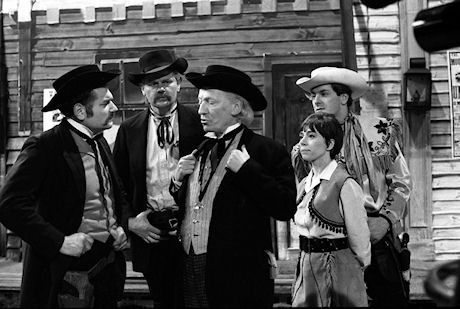 William Hartnell absolutely shines in The Gunfighters, undoubtedly because it was a comedy and the genre in which he most enjoyed to act. The Doctor is given some fabulous lines and rarely does he stumble on them. Except, of course, when he refers to Steven as a “she”! Peter Purves does a superb job, as always, and Jackie Lane, as Dodo, is at last afforded the opportunity to act. Her scene with Doc Holliday when she threatens him with a gun is just fabulous. The set work was superb even if the stair railings did wobble when Ike Clanton fell to his death. 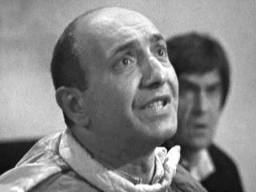 The Doctor Who production team must have recently found the services of an animal wrangler. Less than two months earlier they’d had an elephant in the studio for The Ark and this time a horse. I wonder what the cleaners thought at the end of the day’s filming! There are a couple of interesting facts to note in this serial. 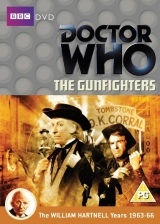 The original working title was The Gunslingers, and as anyone who has viewed the Series 7 episode, A Town Called Mercy, would be aware, there’s a character by that very same name. 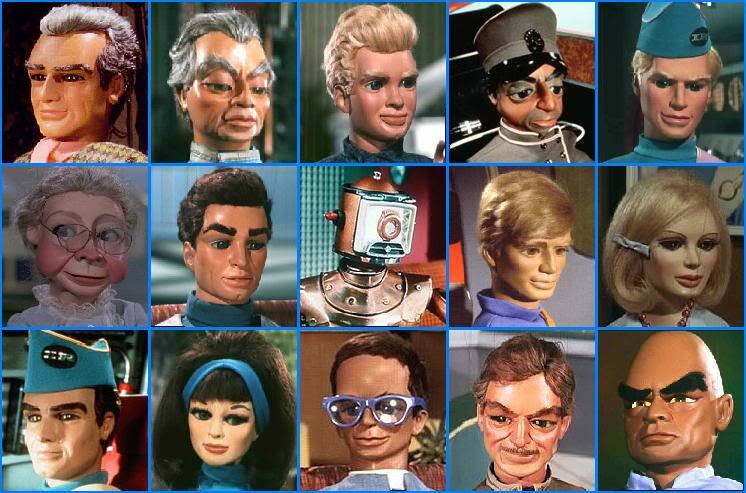 The Gunfighters also stared the Thunderbirds voice artists, David Graham (Brains) and Shane Rimmer (Alan Tracey). Graham played the unfortunate barman, Charlie, and Rimmer the character of Seth Harper. Lynda Baron, the off camera singer of The Ballad of the Last Chance Saloon appeared in the Series 6 story Closing Time as Val. Lewis Christian (ed), Celebrate, Regenerate. http://celebrateregenerate.weebly.com/, 2013.